Linda Freeman | Helping Others Thrive Through Faith, Science, & Love | What is your Mission? I wanted to scream those words really loudly when I walked into the Tuolpongroo community in Phnom Penh, Cambodia a few weeks ago. The thought that little girls are sold as commodities out of communities just like this one made my stomach turn. What saved me from screaming and crying was that we were there to facilitate the first fews days of school at the Light of Future School, the first school in that slum neighborhood and the first school for most of the children enrolled. 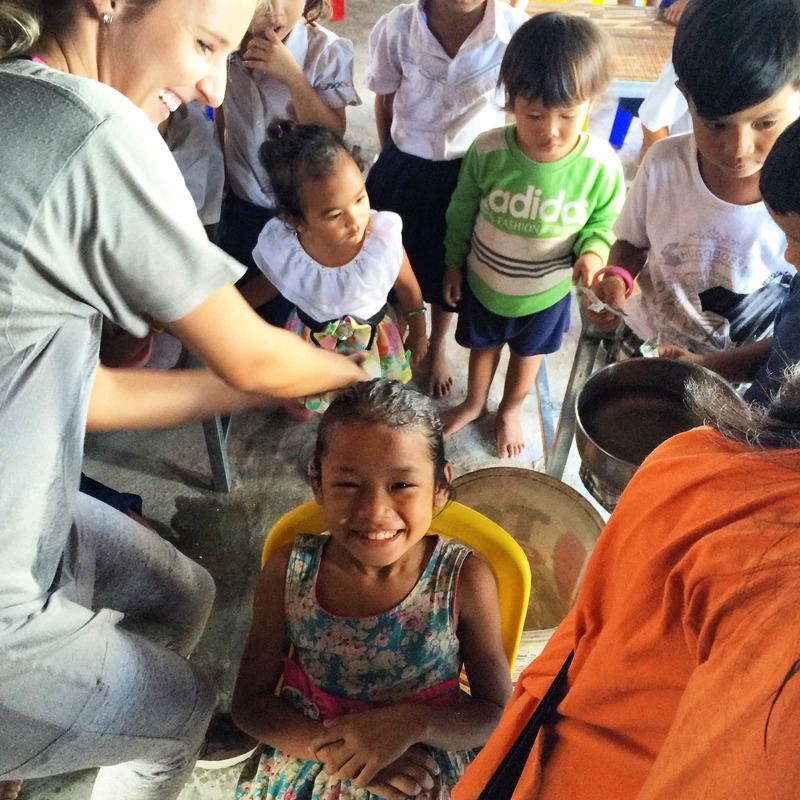 Our mission team spent one of our mornings there teaching a hand washing and hair washing seminar for the kids and their mothers. We had fun splashing around in the water and extolling the virtues of soap. But underneath the fun, I realized that we were planting seeds of hope. For the children: seeds of hope to receive an education and the possibility of a better future than what society had to offer for a child from the slums. For us: seeds of hope that we were making a difference in the life of a child by letting them know in small ways that they were special, created in the image of God. I believe that Light of Future school is revolutionizing that neighborhood. Many people have asked me this question since I started traveling to Cambodia and working on missions projects there: “Why go all the way to Cambodia when we have so many problems at home?” One of my answers now is that we are each created in the image of God and we each have unique talents, abilities, and capacities to look at problems and imagine solutions. The challenge is to take the next step and say to oneself, “I can do something about this” and get started on doing it. Unlike God though, we aren’t omnipresent or omnipotent. We cannot see and act on all situations simultaneously. We must narrow our vision, articulate our mission, and get to work. What is your mission? I will be working on my mission while you work on yours. Together, we can make a difference.